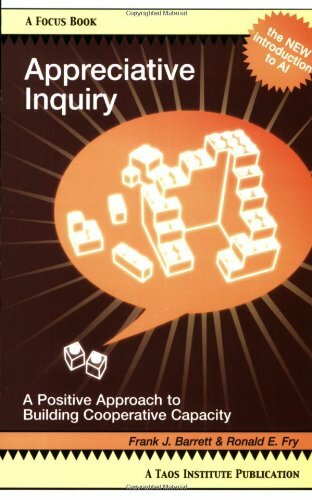 What is Appreciative Inquiry (AI)? This entry was posted in Books on September 23, 2018 by Center for Appreciative Inquiry. The Center for Appreciative Inquiry uses Ai as our "engine" for driving positive change. We work with schools, colleges/universities, gov't agencies, businesses, and NGOs to focus their planning & thinking for full engagement, empowerment & collaboration that is relevant & action-oriented. Since 1989, we have developed training and coaching programs for immediate and long-term impact, focusing on changing workplace practices rather than trying to change people. There are currently 0 items in your cart. Click here to start shopping. ONE INDIVIDUAL, ONE TEAM, ONE ORGANIZATION AT A TIME. Encyclopedia of Positive Questions, 2nd Ed.